Here we have a great look to transition into the spring season while it’s still chilly out. Hi Settlement Fans! We are starting a new series of blog posts of outfits based on our buyer’s favs. The Lava Necklace is a great piece made exclusively for Settlement by Dirty Librarian Chains of mixed metal so it’s very versatile. 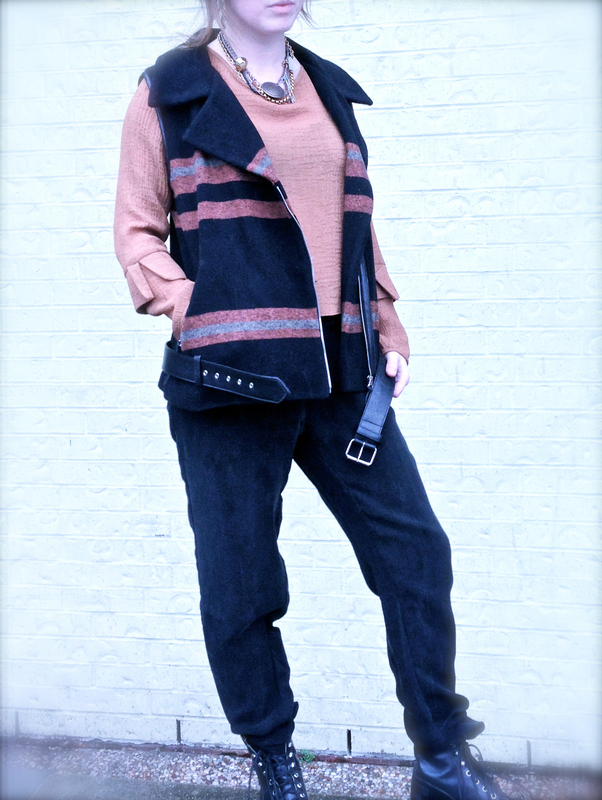 The tamarind color in the blouse and vest can work flawlessly with navy and black, a perfect way to add some color to your favorite neutrals. These cupro pants are a great alternative to silk, since they are stronger as a fabric and can be easily dressed up or down, not to mention they’re super comfy but sophisticated.